Credit: A previous version of this resource was originally published in 2008, with mild formatting and edits to the fact sheet UF/IFAS—Energy Efficient Homes: Easy Steps to Improving Your Home’s Energy Efficiency (EDIS-FY1028). It was updated and adapted for the My Florida Home Energy: Energy Education Library in June 2015 by Jennison Kipp Searcy, Lesly Jerome, and Nicholas W. Taylor. In a typical year, the average Florida household spends approximately $2,000 on home energy costs (excluding transportation), and the bulk (90%) of these expenses are for electricity. 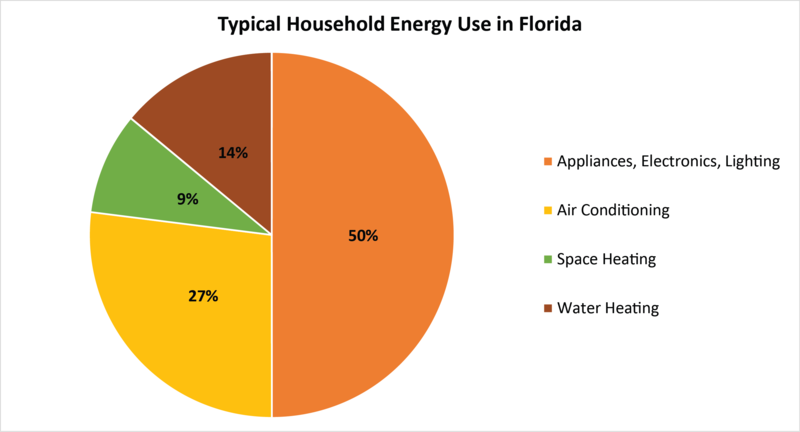 Figure 1 summarizes the most current breakdown of residential energy end uses in typical Florida homes. Just over one-quarter (27%) of energy consumption is for air conditioning—more than four times the national average—and 9% is used for space heating—about one-fourth the national average. Your home’s cooling and heating demands (and resulting utility costs) may be higher or lower depending on where you live in Florida. Many factors affect the operating efficiency of your home’s heating, ventilation and air conditioning (HVAC) system, such as: the type, size, and location of the system; integrity of the ductwork; your home’s attic and wall insulation levels; building orientation; shading of the home by trees and neighboring structures (or lack thereof); quality and sealing of the windows and doors; and, of course, how the system is used and maintained. Another 14% of the typical Florida home’s energy end use is for heating water. Major factors affecting energy use of water heaters include: overall household demand for hot water (which is largely driven by the number of occupants); type, age and quality of the water heater; insulation of the hot water piping; and distances from the water heater to the faucets, showerheads, and other hot water fixtures. With increasing stringency of building codes and appliance standards over time, the efficiency of Florida’s homes, installed HVAC systems and water heaters has improved substantially and the share of residential demands for other energy services has grown. Half (50%) of the typical Florida home’s energy end uses are now attributed to appliances (including refrigerators, washers, dryers, ovens, dishwashers, etc. ), electronics (computers, televisions, and other “plug loads”), and lighting. The amount of energy savings that can be achieved in your Florida home depends on the current condition of the structure and its energy-using equipment, the amount of capital available for efficiency upgrades, and the occupants’ behavior. Opportunities to improve home efficiency, save energy, and reduce utility bills range from simple behavior changes that cost nothing to basic, low-cost improvements to more aggressive retrofits that are more expensive yet can pay off in the long-run. In most homes, substantial energy savings can be achieved given enough capital investment and the right approach to the project. At no cost, energy savings can be achieved through behavior change, even if you have no experience or skills in home improvement. With this in mind, the first step in any effort to improve your home’s efficiency is to evaluate your current energy use and identify potential upgrade opportunities. Refer to your utility bills and record the amount of energy you use each month (electricity is typically measured in kilowatt-hours, or kWh, and natural gas is typically measured in therms), then make a list of what this energy is being used for in your home (cooling and lighting, for example). Several free tools are available on the Internet to help you with this task, such as the customizable home energy calculator listed at the top of Table 1. Just identifying your home’s main energy users is a powerful tool to help choose among and prioritize opportunities to improve efficiency. Table 1 lists some easy no-cost changes that can help you reduce your home’s energy use and lower utility bills now. These are just a few of many things that you can do to create a comfortable home living environment and use energy wisely and efficiently. After making simple habit changes to cut your energy use, you will be ready to consider other options that may require some financial investment up front, but that pay you back in energy bill savings down the road. Home Energy Savers Energy Advisor Calculator Evaluate your energy use, familiarize yourself with the main energy users in your home, and find simple solutions to energy savings. NOTE: The HES calculator helps to power this web site’s interactive tour. Thermostat Settings Set thermostat to 78°F or higher in the summer and 68°F or lower in the winter. Shade Windows Close window blinds, curtains or shutters during summer to shade windows and reduce your home’s solar heat gain. Ceiling Fans After setting your air conditioner to a higher temperature in the summer and your heating system to a lower temperature in the winter, use ceiling fans to increase comfort when a room is occupied. Make sure ceiling fans are properly installed, well-balanced, and running clockwise in the winter and counter-clockwise in the summer. Turn off fans when you leave a room. Exhaust Fans Use bathroom exhaust fans for up to 20 minutes to remove moisture after you take a shower. Use kitchen exhaust fans while cooking to remove excess heat and moisture. Although the air-conditioning system will eventually remove moisture from the air it uses much more energy than simply using an exhaust fan. Remember to turn off exhaust fans when the temperature and humidity levels have come back down to normal. Lighting Turn off lights when you leave a room, or when you know the room will be unoccupied for more than 15 minutes. Main Refrigerator Check seals on refrigerator and freezer doors. To do this, place a dollar bill in the door as you close it. If it does not hold firmly, the seal is worn and needs to be replaced. Clean refrigerator cooling coils, accessible on the back or underneath the refrigerator—refer to owner’s manual for instructions specific to your particular refrigerator model. Extra Refrigerator Empty, unplug, and recycle your second refrigerator if it is seldomly used. Contact your local waste management/recycling program for details. Also check for incentives from your local utility as some offer rebates for “decommissioning” and recycling your extra refrigerator. Dishwasher Run only full loads of dishes. Use the air-dry setting or let dishes air-dry by propping the door open slightly after the final rinse cycle. Do not do this, however, if high humidity is a problem in your home. Clothes Washer/Dryer Wash only full loads of laundry and use the cold water wash and rinse cycle when possible. Clean the dryer filter/lint trap after each load. Clean the dryer exhaust run periodically to prevent lint buildup. When possible, use clotheslines or drying racks instead of your dryer. Standby Power Unplug any appliances or electronics that have a standby mode or that have lights that remain on when they are not in use. A typical U.S. home has dozens of products constantly drawing power: energy used for standby mode accounts for almost 10% of total U.S. residential electricity consumption. What are some low-cost energy savings opportunities? If you have reduced your home’s energy demand by turning off lights when you leave a room but are still using old incandescent bulbs, replace this old, inefficient lighting with newer low-wattage options such as compact fluorescent lamps (CFLs) or light emitting diodes (LEDs). (Note that “lamp” is the lighting industry’s word for “bulb.”) If you find that you have difficulty remembering to adjust your thermostat before you leave home, install a programmable thermostat, which adjusts temperatures automatically to your preset levels on different days of the week and times of day. Other low-cost options to improve your home’s efficiency include basic weatherization and window shading upgrades. While these changes require modest monetary investments, they are cost-effective if used to address issues in either your home’s structure or occupant behavior. Take a look at the suggestions in Table 2 to see if any may be helpful for your home and, as always, remember that there may be other options suited to your home that could help you save even more energy and money. Lighting Replace as many of your old light bulbs as possible with the appropriate compact fluorescent lamps or light emitting diodes—for example, 14-watt compact fluorescents in place of 60-watt standard incandescent bulbs can save you up to $30 a year per bulb. Air Conditioning Maintenance Keep your system at peak performance. Check air filters every month and clean or replace regularly as needed. Arrange for professional maintenance on a yearly/seasonal basis to ensure proper efficiency. Thermostat Install a programmable thermostat. Program it to turn off or adjust for overnight and when you are not at home. Potential savings: up to $150/year. Weatherize Caulk, seal, or apply weather stripping around all windows and exterior doors. Areas where plumbing, ductwork, and electrical wiring penetrate exterior walls, floors, or ceilings should also be insulated according to applicable building code. Shade Windows Install window blinds, curtains, solar screens, shutters, or awnings to shade windows and reduce your home’s solar heat gain during summer days. You can also create energy efficient landscape by planting deciduous trees to shade windows. What if I want to make major home efficiency investments? The final step in home energy upgrades is making the leap to investments in high-efficiency systems. To maximize your energy savings potential, eventually you will need to spend additional money up front, and there may be incentive programs to help offset some of these expenses. Upgrading portions of your home’s structure, mechanical systems, and appliances to high-efficiency models is where you are most likely to get the quickest payback in lower energy bills. Table 3 lists some of the moderate- to significant-cost investment options for increasing your home’s energy efficiency. Understand that the magnitude of efficiency gains achieved will vary from home to home. If in doubt about which, if any, of these are most appropriate for your situation, contact your utility provider and ask about scheduling an energy audit of your home. In addition, ask your utility company about any incentives or rebates they offer to help make your home more energy efficient. You can also search the ENERGY STAR® website for offers and rebates from ENERGY STAR partners as well as the Database of State [and Federal] Incentives for Renewables & Efficiency (DSIRE) for other ways to offset the costs of your home efficiency investments. Attic Insulation Upgrade your Florida home’s attic insulation to R-30 or higher. If you have recessed lighting, be sure to follow all safety recommendations for insulation installation. Windows Consider replacing older, single pane, or jalousie windows with energy-efficient ones suited to your home and designed specifically for the Southern climate and your region’s weather patterns. HVAC If your existing HVAC system is 10 or more years old, consider replacing it with an energy efficient system. Duct Leak Repair Hire a contractor to evaluate ductwork and seal leaks that occur between ductwork junctions, around air handler cabinets, and other trouble spots. Water Heater If your water heater/hot water system is 10 or more years old, consider replacing it with an energy-efficient unit. Refrigerator If your refrigerator is 10 or more years old, consider replacing it with an energy-efficient model. Clothes Washer Consider replacing an older clothes washer with an energy-efficient model. ‡ Structural changes of any kind often require a building permit and a post-installation inspection. Check with your contractor/your local government authority before proceeding with your project. We have just given you an overview of steps that you can take to reduce your home’s energy demand, improve its efficiency, and reduce your energy bill. Remember, when considering energy efficiency in your home, always consider occupants’ energy use behavior first, before adding any upgrades—even the most efficient home and all of its features can be used wastefully. In addition, major upgrades such as a new air conditioning unit will be most cost-effective and better matched to your needs after you’ve taken steps to reduce your home’s energy demand, including its cooling load, as much as possible. Remember to contact your utility company to see if they are offering rebates, loans or other incentives for residential energy efficiency. If you are purchasing an existing home, realize that some energy improvements such as upgrading the home’s central air conditioner and water heater can be included in an “energy improvement” mortgage. If you are purchasing a new “green-certified” or energy-efficient home, ask your mortgage lender about an energy efficient mortgage. If you are constructing a new home, be sure to ask your builder for further guidance to maximize its efficiency and reduce your future energy bills. Learn more about these energy-efficiency mortgage and other home efficiency project financing options at My Florida Home Energy: Financing. Whatever your situation, now that you have access to the necessary tools and information, take advantage of them to realize your efficiency and energy savings goals! Common Home Problems and Solutions: High Energy Bills. Energy Star. U.S. Environmental Protection Agency, U.S. Department of Energy. Accessed June 16, 2015. Energy Efficient Building Construction in Florida. Miller, C., Sullivan, J., and Ahrentzen, S. (2012). ISBN 978-0-9852487-0-3. University of Florida, Gainesville, FL. 7TH Edition. Energy-Efficient Window Treatments. Energy Saver. U.S. Department of Energy. Accessed June 16, 2015. Energy Ratings and Audits. Residential Energy Services Network. Accessed June 16, 2015. Energy Saver: Save Energy, Save Money. U.S. Department of Energy. Accessed June 16, 2015. Green Home Building Resources. Southface. Accessed June 16, 2015. Home Energy SaverTM. Environmental Energy Technologies Division. Lawrence Berkeley National Laboratory. Accessed June 16, 2015. Household Energy Use in Florida. Energy Information Administration. U.S. Department of Energy. Accessed June 16, 2015. Standby Power. Lawrence Berkeley National Laboratory. Accessed June 16, 2015. This document is FCS3267, one of an Energy Efficient Homes series of the Department of Family, Youth and Community Sciences, Florida Cooperative Extension Service, Institute of Food and Agricultural Sciences, University of Florida. This material was originally prepared with the support of the Department of Environmental Protection, Florida Energy Office, which is now the Florida Department of Agriculture and Consumer Services (FDACS), Office of Energy. However, any opinions, findings, conclusions, or recommendations expressed herein are those of the author(s) and do not necessarily reflect the views of the Florida Department of Environmental Protection. Original publication date: June 2008. Revised June 2015. Please visit the EDIS website. Jennison Kipp Searcy, Resource Economist; Lesly Jerome, Research Assistant; Nicholas W. Taylor, Housing Systems Analyst; Program for Resource Efficient Communities, University of Florida, Gainesville, FL 32611.